While carrying out its activities “Media Group Ukraine” adheres to principles of Sustainable Development and corporate responsibility adopted within the SCM. Alongside with current laws, we as an organized structure is being guided, first and foremost, by its own corporate rules and regulations. Our performance is appraised based on high professional standards, responsible approach, teamwork principles, transparent and friendly environment inside the Company, respect for our viewers, readers, customers and partners and our strive for leadership and success. These rules have long become ingrained in our everyday life and work. We detailed the rules and presented them in the form of Code of Conduct. • legality and supremacy of law. Each and any employee shall comply with the Code provisions and abide by them when performing their professional duties. Moreover, we are to bear in mind that our behavior in everyday life might directly affect the Company’s name and repute in general and therefore compliance with the Code provisions in everyday lives is encouraged. We encourage our clients and business partners, individuals or entities authorized to represent the Company with third parties to adapt their codes of conduct to be fully in line with our principles. We encourage all our clients and business partners to read our principles to know what to expect from our employees. We support the right of any employee or other stakeholder to express concerns about the results of our common goal and report inappropriate actions. 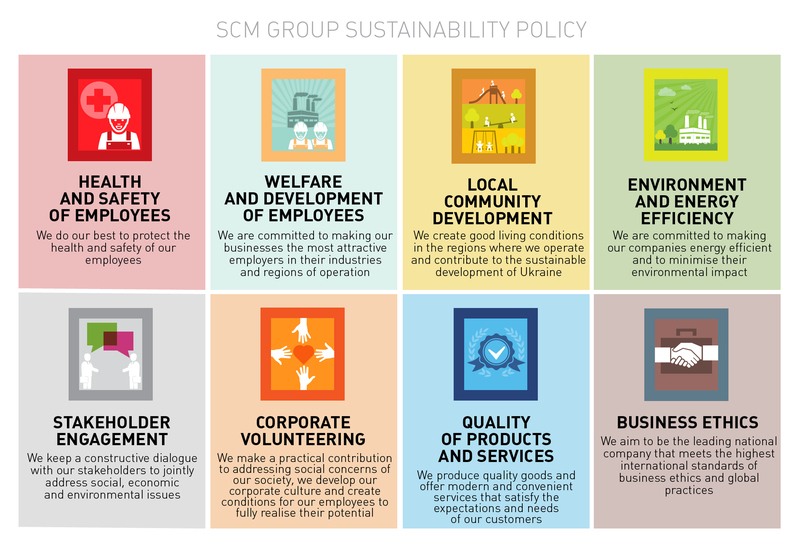 For this purpose «SCM Trust Line» operates in the Company as a feedback channel that gives additional guarantees of Company's commitment to the highest ethical standards. You can report anonymously if you wish so. Anonymous reports registered with the Trust Line are processed similar to other messages, given there is sufficient information for response. The Company has a zero tolerance policy for any form of retaliation or reprisals against employees reporting violations. The employees who believe that they are being retaliated against should report to our Trust Line. However, the employees who deliberately report false information will face disciplinary actions up to the termination of employment.